Cupertino, Ojai, and Mountain View celebrated the implementation of their expanded polystyrene (EPS) container bans yesterday. Often called "Styrofoam", these containers are impractical to recycle, harmful to marine life, and cost local governments millions in storm drain clean-up costs. 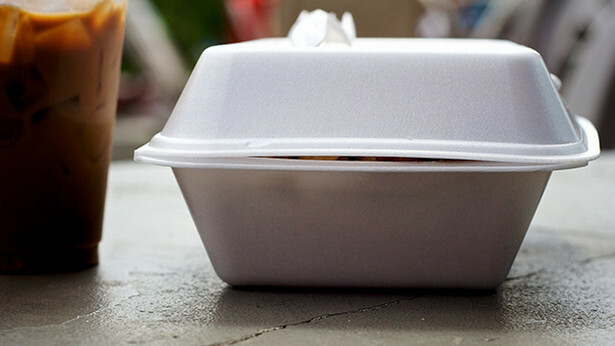 In Cupertino, all food vendors and restaurants will be prohibited from using EPS food takeout containers. In addition to food vendors and restaurants, Ojai and Mountain View go even further by restricting the sale of polystyrene products, such as foam ice chests or packing peanuts, in all stores or retailers. Learn more about polystyrene pollution, and see the full list of local ordinances.